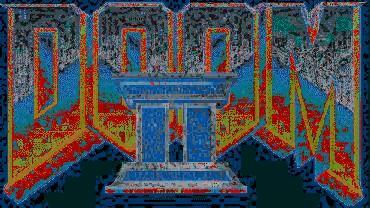 The best Doom2 Wads I have found on the Internet. Also a page for Doom2 Wads made for the Zdoom/GZdoom/Boom Ports was added 11/09/06. Don't have Doom 2 yet? Check out Freedoom on the menu. FYI - Most of the wads listed on the Megawad, Large Wad, and Smaller Wad pages can be played with any port. I usually used Legacy in the past, now I usually use Zdoom. 7/27/10 I decided to change the look of this site today. I am using a new editor so it is a work in progress. 4/2/09 FileFront has been bought back by the original founders of the site so there should be no interruptions in service. I had already found a new host and started uploading files to AtomicGamer today so some wads will have two download sites to chose from. 3/3/09 I added a new page to the Menu today for the DooM High Resolution Texture Pack. Versions of the Texture Pack are available for seven popular DooM ports. 2/22/09 Added Plutonia 2 today. It has 32 levels and requires the Doom 2 addon The Plutonia Experiment. It is listed on the Megawads page. 2/21/09 Added Doom 2: Evolved v1.2 today. It has 3 levels, requires the GZdoom port and is listed on the Zdoom page. 2/20/09 Added Clavicula Nox today. It is a total conversion with 12 levels that was made for the Vavoom 1.29 port. It is listed on the Large Wads Page. 2/19/09 Added 32 Inch Nails today. It has 7 levels and is for the PR Boom-Plus or GZdoom ports. It is listed on the Zdoom Wads page. 2/18/09 Added Cold As Hell: Special Edition today. It is an updated version of the Cold As Hell TC. It has 16 levels and now requires the GZdoom port. There are various bug fixes plus enhanced fire, smoke, 3d floors, dynamic lighting etc. It is listed on the Zdoom Wads page. 2/17/09 Well it took me a liitle longer than I planned but I'm back. I downloaded quite a few Doom wads over the last week and started playing them today. First up is the Diet 32in24 wad. It has 16 levels, requires a limit removing port and is listed on the Zdoom Wads page. The levels in this wad are small but action packed with a good health and ammo to monster ratio. 8/30/08 Added S.Q.W.I.R.E.L Mod today. It has 7 levels and is listed on the Smaller Wads page. This is another one for the Edge port. Mostly simple textures and small levels but lots of new weapons to kill demons with. 8/29/08 Added QDoom-Quake Done Doom Style today. It has 12 levels and is listed on the Large Wads page. It needs the Edge port to run. I provided a link to the latest Edge version right below the QDoom download link. You can also get it from the More Ports link on the menu. Loading wads using Edge works just about the same as with Zdoom. 8/8/08 Added Claustrophobia: The Walls Close In today. It has 3 levels and is for you Zdoom fans. Lots of scripting, cut scenes and Zdoom effects. The only part I had trouble with was the final boss fight on level 3. The tight areas can work in your favor if your quick and keep you back to a wall when you can. 8/7/08 Added Doom2: The Eternal Wicked today. It has 3 levels and is a classic Doom2 style wad. Lots of health, ammo, and monsters to kill. It took me 35 minutes to finish. You can find it on the Smaller Wads page. 8/6/08 Added Eclipse today. It has 18 levels and was made for the Zdoom port. This is a classic Doom/Doom2 style wad with good level design and gameplay.